Hello! I hope you had a lovely weekend. I have been wearing another one of my gel nail polishes. 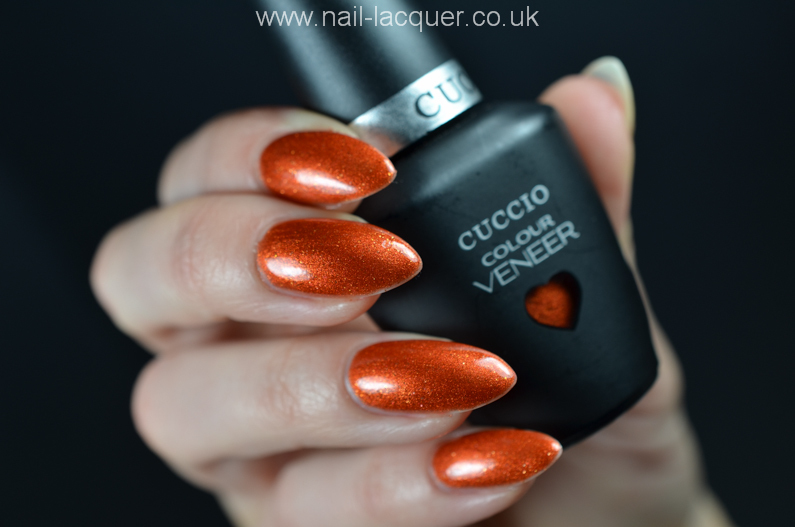 The polish is Cuccio Veneer ‘Rio Carnival’. 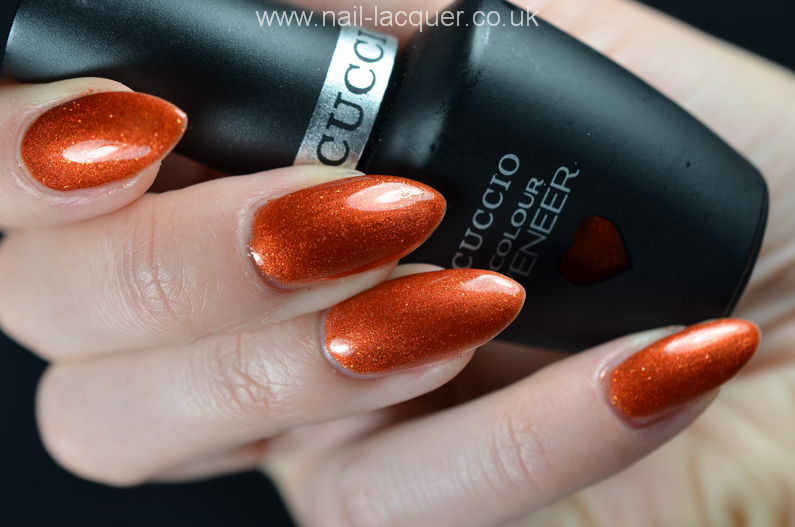 Cuccio is a professionals only product. 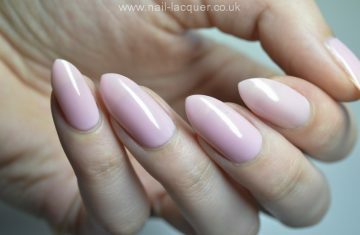 Hence today’s post is mostly aimed at the people who work in the nail industry. 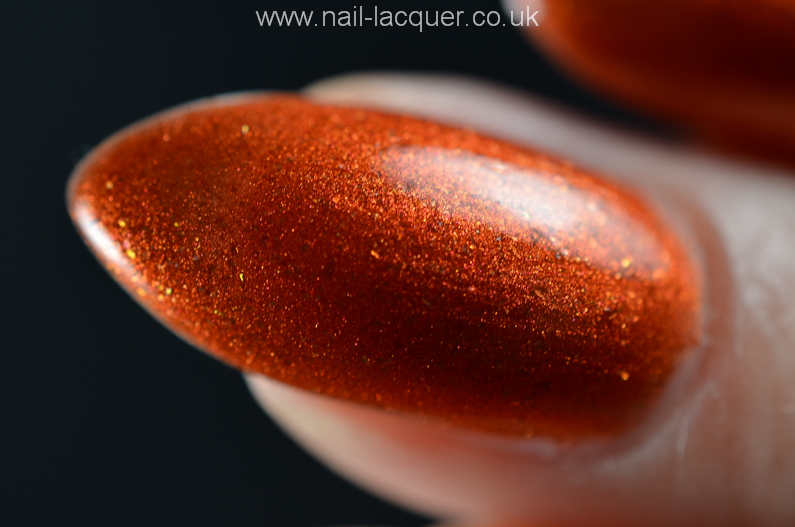 Cuccio Veneer Rio Carnival is a gorgeous bronze shimmer gel polish with some extra tiny gold flakes. On the swatches I’m wearing three thin coats of colour. The formula was great to apply but I didn’t learn until AFTER the application that you are meant to go over the tips again before curing. Therefore I ended up with a bit of a shrinkage on the edges of my nails. 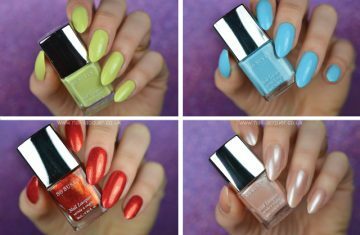 This is what you get when you try out different gel polishes without doing research first on how to apply them! January 18, 2015 By A.J. May 26, 2014 By A.J.